NiCad (Nickel Cadmium) This is the oldest technology and is the least commonly used nowadays. NiCad batteries are prone to the “Memory effect” and are heavier than the newer technologies. NiCad is not environmentally friendly chemistry as it contains heavy metals, which cannot be disposed of in landfill sites. Most manufacturers have stopped producing batteries of this type chemistry. As an end user it will be increasingly difficult to source these batteries. The best alternative is external battery packs. NiMH (Nickel Metal Hydride) these batteries are less likely to be prone to the memory effect and have a much better power to weight ratio than NiCad. This is a commonly used chemistry. These batteries are also being phased out by most manufacturers. However, many have lithium-ion versions that are compatible. 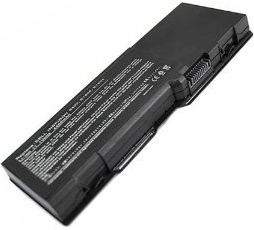 Always consult the manufacturer or a reputable laptop battery supplier. Li-Ion (Lithium Ion) - This is becoming the dominant technology due to its excellent power to weight ratio. Such considerations are becoming more important as mobile devices become smaller and lighter and battery weight becomes significant. Another plus point for Li-Ion is that it doesn't suffer the memory effect at all. These batteries do have a tendency to lose charge quickly towards the end of their effective life span. If this starts to happen the battery must be replaced. These three technologies are quite different in the way they charge and therefore should not be substituted unless the device has been designed to take different chemistries. The owner's manual will describe which batteries are suitable.